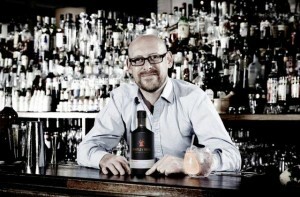 The word is out on Whitley Neill London dry Gin, and as soon as I heard about it I had to get my hands on a bottle. I was not disappointed, as this is a top class sipping gin that includes two African botanicals that gives it its vibrancy. There are 7 other botanicals used in the process to a lesser extent, the most prominent being coriander seeds and juniper berry. The smooth taste lingers in the mouth quite a while, and the tastes include citrus, exotic spices, herbs, cocoa and candied lemon peels. The distillery is located in Warrington in England, a Northern Industrial town where the Neill family have been brewing gin since 1762. The distillation process is via an antique copper pot still well over 100 years old, and the gin is produced in small batches. The purity of the alcohol is 96%, and the ABV percentage is 42%, allowing the optimal strength for the botanicals to have maximum effect. The two botanicals that make all the difference are Baobab and Cape gooseberry (physalis), and when the latter is added to the classic Gin & Tonic, expect something special. The gin won a double gold medal at the San Francisco World Spirits competition in 2007. The Baobab tree( also known as the tree of life) provides the fruit pulp and the seeds, and the pulp produces 6 times more Vitamin C than an orange, and is a highly prized source of a refreshing citrus lemonade drink for the locals in Africa. The seeds are very high in protein and can be roasted and used as a coffee substitute. The Cape gooseberry is named after the Cape of Good Hope where they are in abundance where the cold waters of the Atlantic Ocean meet the warm waters of the Indian Ocean. The bitter-sweet berries increase the citrus element of the gin on the nose and the palate. A handful of liquor writers in the know have already spread the word, and when one of them compared it to the excellent Plymouth Gin, I knew it was something that needed to be tried. 5% of the profits from Whitley Neill Gin are donated to Tree Aid, a charity that helps some of the poorest families in Africa in their continual fight against poverty.